In a large bowl, whisk the mirin, vinegar, sake, brown sugar and soy sauce. Toss in the short ribs along with the scallions and mushrooms. Cover and refrigerate for 20 minutes. Alternately thread the beef and scallions onto half of the skewers. Thread the mushrooms on the remaining skewers. Brush with rice bran oil. Season with salt and pepper. Preheat a grill pan. Grill the beef and mushroom skewers over moderately high heat until the meat is medium-rare and the mushrooms are tender, about 2 minutes per side. 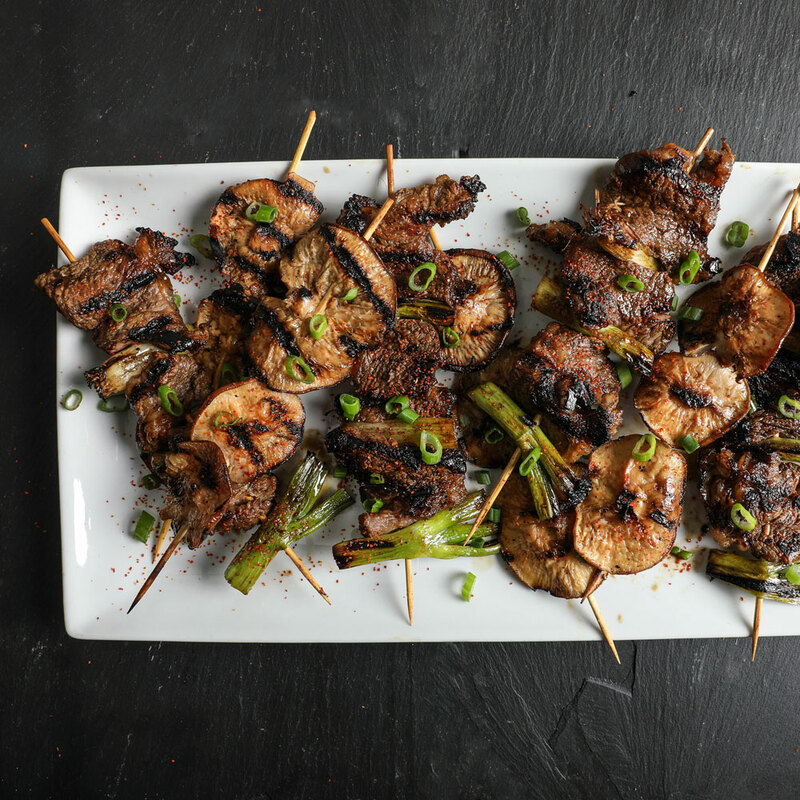 Transfer the skewers to a platter, sprinkle with togarashi and serve.